Shocking news from the world of capitalism as an area writer discovers that some things with the same basic features… can be priced differently. “Good enough”, of course, being the Android motto. Credit, however, to Broida for not using the tired “I’m breaking up with my iPhone!” format, with its associated creepy lines like “It’s not you, it’s me”, “I’ve met someone new”, “We never spoon anymore” and “After we made out I just felt empty inside." 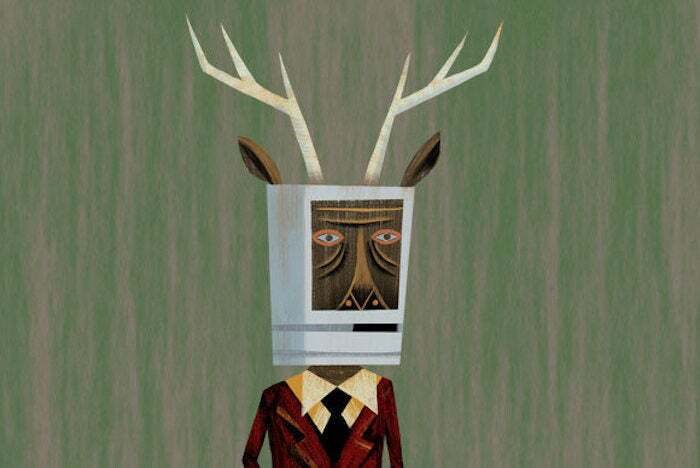 Only a few of which the Macalope made up and weren't really in "iPhone breakup" pieces he's actually read before. Occasionally I've dabbled in Android, but my brain just likes iOS better. Brains. What do they know? My wallet, however, is increasingly frustrated. The Macalope is not one of those mythical creatures who categorically declare “YOU MUST PAY MORE SO YOU ALWAYS GET THE OPTIMAL EXPERIENCE”. That’s more of a wyvern thing, really. Not to stereotype wyverns. Some of the Macalope’s best friends are wyverns. But, yeah, they’re all totally like that. Everyone has to make their own choices with their money. Maybe you’ve decided you’re less into smartphones and more into those glass poodles they make at the mall stand. That’s OK. It’s weird, of course. The glass poodles alone display a definite lack of taste. But it’s OK.
You can definitely get Android phones for less and no one is obligated to spend more on an iPhone. But let’s not pretend there isn’t still a difference, or that that difference isn't worth anything. It is true that a Vespa and a Tesla can be said to be comparable. They both have five letters, end in “a” and will get you somewhere. Ultimately I chose the new Nokia 6, which Amazon sells for $180 (with lockscreen ads and offers). Right off the bat this unholy comparison is straining at its chain, desperate to break free and wreak havoc upon our fair city. First of all, Broida’s complaint started when he balked at the $869 asking price for the iPhone 7s Plus with 128 GB of storage. This phone has one-quarter the storage, but features an expansion slot. Again, no one is denying you can get cheaper phones and maybe that’s what you want. But… there is a very real difference. Hey, don’t look at the Macalope. You made this bed of nails. Broida goes on to detail how, while it seems fine in many regards, the Nokia is slower, has a crappier camera and sharp edges, and may or may not get software updates. To Broida, these differences (along with lock screen ads and other assorted ipecac substitutes) are a fair trade-off for the $670 he saved. The Macalope switched to the iPhone SE mostly because he prefers the smaller screen but he’s not gonna lie, he likes the smaller price tag, too. Heck if he’s gonna buy a phone with lock screen ads, though. Of course, Samsung phones are similarly priced to iPhones, which Broida notes in the second-to-last paragraph. So, this is really more about the difference between premium phones and cheap phones than iPhones and cheap phones. So, yes, premium devices come at premium prices. Not everyone will want to pay them. Many will. This is the dirty secret of capitalism that everyone already knew.